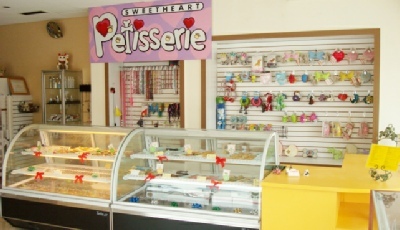 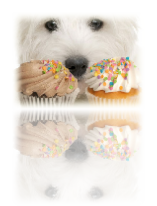 At our doggie bakery you can find the best quality, gourmet baked doggie treats. 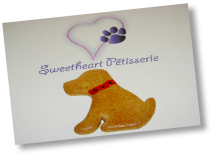 All of our dog treats are baked fresh using wholesome ingredients with now added preservatives such as additivies, sugar or salt, using only the ingredients that are safe for your pet including treat decoration made with carob or yogurt, though some items may look like delicious chocolate, non of these goods are made with actual chocolate. 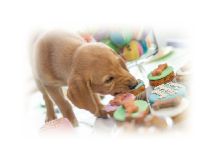 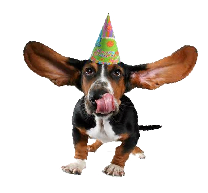 If you are planning a doggie party or perhaps your doggie has a birthday coming up, prepare to celebrate with these delicious treats. 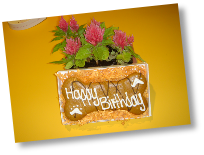 No doggie birthday party is complete without a doggie birthday cake! 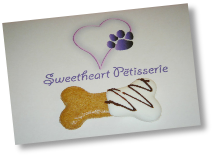 These doggie treats are an intergral part of of the celebration, it's fun for everyone and essential for a pooch party!